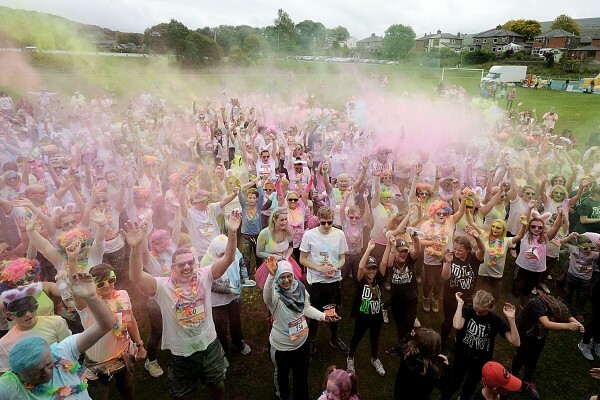 The Rossendale Colour Dash is a 4km run, walk or jog starting from Marl Pits running track. Participants will be showered with coloured powder by passing through colour stations. The route takes participants up over the rugby fields and around the Golf Range. They will then take in the fantastic views from Hurst Lane and descend back down to the Leisure Centre. Click here to download a full map of the route Map of Colour Dash final - 2018.pdf. 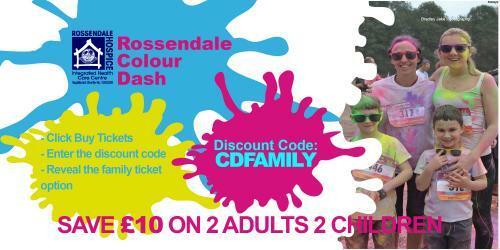 The Colour Dash is organised in partnership with Rossendale Leisure trust. 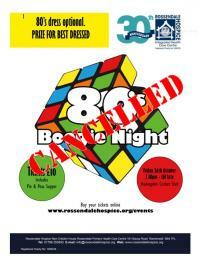 Last year almost 600 participants helped raise £24,000 for Rossendale Hospice. 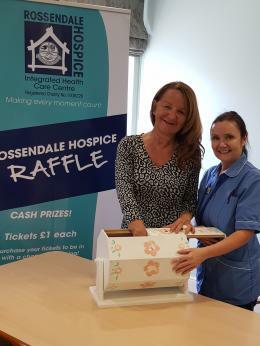 This year the Hospice is celebrating its 30th anniversary and hopes to raise £30,000 which will go towards supporting local people with life limiting conditions. Woodcocks, Howarth & Nuttall Solicitors have kindly sponsored one of the Colour Stations. They will be showering all our participants with green powder when they pass through their station. The Hospice has supported thousands of patients and their families over the last three decades and is hoping that everyone’s support in this year’s Colour Dash will help raise funds for more local people who rely on the Hospices services. Please read the full terms & conditions prior to registering. NEW for 2018; Registration packs now include a Colour Dash T-shirt sponsored by Whittaker’s Embroidery. Online booking fees apply. Please read terms & conditions here prior to booking. Would you like to sponsor this event? Contact the fundraising department on 01706 253633 option 3 or email fundraising@rossendalehospice.org for more details.